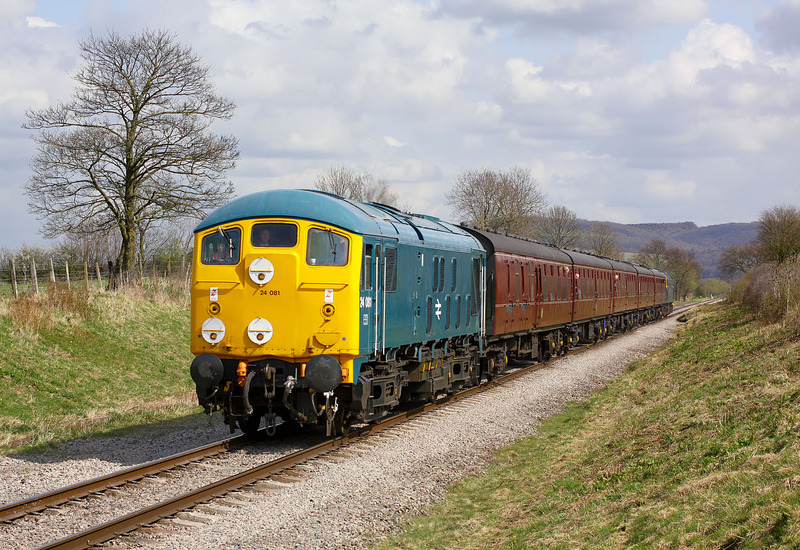 24081 approaches Greet, after traversing the long straight section of track from Hailes on the Gloucestershire Warwickshire Railway, during the line's Diesel Gala on 5 April 2009. It is working the 12:10 Toddington to Cheltenham Racecourse service. 47105 can just be seen on the rear of the train, waiting to be used on the return 12:51 from Cheltenham Racecourse. The clouds were rapidly building up and in fact most trains after this one conspired to miss the few remaining sunny periods.